Vehicle manufacturers are rapidly embracing new technologies, including self-driving systems. With software and auto companies working together, the future of not just transportation but commercial shipping could shift dramatically soon. Although this trend is still developing, some recent changes indicate that we may see a world of autonomous shipping vehicles sooner rather than later. Back in August, The Wall Street Journal reported that Ford was planning to reveal a driverless vehicle by 2021, with commercial fleets being the first to use them. The source spoke to company CEO Mark Fields, who said that the business will take its time in developing this new option. "We've done a lot of work reducing the cost on the technical components, but at the outset, it is still going to be a relatively expensive vehicle," he said. Elsewhere, other factors continue to influence the chance that autonomy will eventually become a key part of standard business practices. "Several factors continue to influence whether autonomous vehicles will appear in shipping." A Business Insider Intelligence report estimated a possible market value of $20 billion in connected logistics solutions. Fleet-management adoption could account for 180 million vehicles in 2010, the source added, with delivery of physical goods only a part of the broader range of uses, such as the related use of consumer transportation along with the means to move merchandise. If automation parallels other technologies, such as the Internet of Things, the supply chain could also use other newly connected devices for data and have more information to use for further planning. Continuing market could be a strong sign that this technology will actually last and be more than just a trend, especially if it impacts other developments as well. The U.S. Department of Transportation is also being more explicit about the possibilities of vehicle automation. In September, it and the National Highway Traffic Safety Administration published a special Federal Automated Vehicles Policy including guidance for vehicle performance. While it asserts the importance of manufacturer compliance with government standards, the document also addresses new possible issues, including cybersecurity, privacy and safety. Fears over smart vehicles getting "hacked" have gained voice recently, and the source outlined several elements that manufacturers should follow as they create effective privacy policies. These include transparency, data security and accountability to guarantee consumer data is handled correctly. 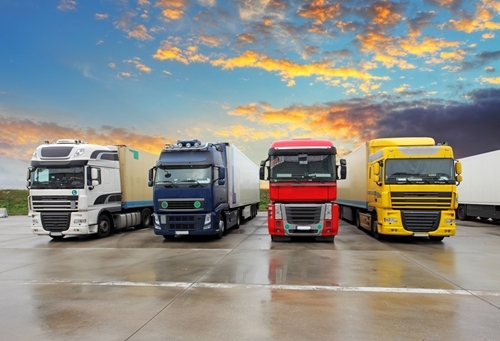 It's not unreasonable to assume that some of these same concerns could also apply to trucks and other transport vehicles used in the supply chain, with the added importance of protecting a company's assets and meeting its bottom line. The policy is just the beginning of steps needed to engage with automated cars throughout the country on a state-by-state basis and considering possible new tools for regulation. Automation could lead to notable disruption for standard logistics and procurement. Staying ahead of the curve, businesses can update their management tools to be more strategic and make use of relevant data. This, in turn, can incorporate some of the same advantages as the "connected vehicle," such as greater accuracy, performance and ability to meet demand.